Select a tour! 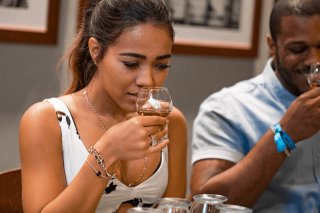 Discover BACARDÍ's history through a guided tour, become a rum maestro with the Rum Tasting Tour, or master the Mojito with an interactive Mixology Class! 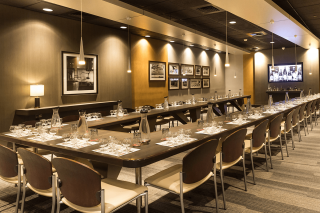 Become a rum maestro on this guided tour where you will discover how we make our premium rums, the craft of our barrels and blending, the history of our family owned company, and taste six BACARDÍ rums, including BACARDÍ Special Reserve, exclusively available at Casa BACARDÍ. Tasting of six premium rums. BACARDÍ Welcome Cocktail for adults. Access to Bottle Your Own BACARDÍ Experience & Gift Shop. Please note, you must be over the Legal Drinking Age to participate in this tour. This is a premium spirits experience. Children cannot accompany adults. Please arrive thirty minutes before your tour time to register and enjoy your Welcome Cocktail. The Rum Tasting Experience duration is approximately seventy five minutes. With so much to do at Casa BACARDÍ, check out what our visitors have been saying on TripAdvisor. See what we're up to by following us! Don't miss a visit to one of Puerto Rico's top attractions! First tour starts at 9:15 a.m., last tour starts at 4:15 p.m.
First tour starts at 10:00 a.m., last tour starts at 4:00 p.m.
First tour starts at 10:30 a.m., last tour starts at 4:30 p.m.